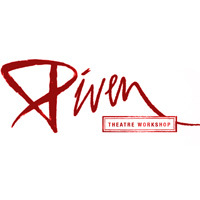 We are seeking eight male actors for a staged reading of The RED, a new play written by Noam Friedlander and directed by Joyce Piven in affiliation with the Piven Theatre Workshop. The Red follows Walid O'Donnell, an avid soccer fan in war-torn Beirut, desperately trying to find a functional television to watch Liverpool's final match. Unfortunately, the only working generator belongs to Hezbollah on the other side of town, and they're not exactly on the same team. Walid's only hope for survival is to bring together two enemies and pray that their passion for the sport can create peace, even if it's just for 90 minutes plus overtime! Walid O'Donnell: Young, boisterous, charming youth, who spends more time thinking about Liverpool FC & women than the political situation around him. Neda: Strong independent and attractive woman, who, despite herself, finds herself charmed by Walid even though she has a mission of her own to complete. Mohammed: Loyal friend, Walid's best friend, constantly tries to do the right thing but is frequently led astray by Walid. Tariq: Walid's cousin, unimpressed by Walid, and by Beirut in general, he'd rather do his job and stay under the radar. Nabil: Cruel, arrogant and mocking - he is a frequent patron at Walid's cafe. Yusef: The cafe owner, Walid's father figure, while he cares about his boys, he doesn't let it show if he can help it. He has a heart of gold, but an exterior of mocking indifference. Nasser Al-Hasan al-Mawardi: Mid 20s, Muslim who likes to club and have fun. Politics doesn't interest him. Women and drugs do. Racheed: Enigmatic mid-20s Muslim, though his clubbing friends mainly care about women and drugs, he only cares about Lebanon. Abdul: A thief who hates Christians - homeless, angry and volatile. Abdul has been living on the streets, making a living stealing, cheating and robbing. He struggles to listen to reason and acts out of fear. Raza: A young Hezbollah spy, fanatical about his beliefs - he reports to Hezbollah headquarters and has no sympathy for those against the cause. Boy: Raza's spy - though a member of Hezbollah, he knows little. A momma's boy, he acts tough but inside he's scared of what he's becoming and the people around him so he always try to do what he's told by his superiors. Imam: Leader of the Muslim community - another father figure for the community. Revered, with a sense of humor, he is hugely popular in the area and respected by everyone. Looter: Thief in Beirut, he has a pragmatic view of life in Beirut during the Civil War - whatever's left is there for the taking but he still has respect for his fellow men and kindness for Walid. Mohammed: Leader of Hezbollah - Fierce and feared, this strong imposing man has one flaw - which Walid exposes by the end of the play. Bashir: Neda's wayward brother with a penchant for gambling and getting in over his head. He's arrogant and bullish - he also hates Christians. Auditions will be held from 10am - 4pm on Wednesday the 27th at the Piven Theatre Workshop in Evanston. Rehearsals will be held August 29th and the week of September 1st in the evenings at the Piven Theatre Workshop. There will be a staged reading in the Piven Theatre at 7pm on Friday, September 6th. For consideration, please send headshots/resumes by August 25th, at 8pm.